The business of phony college degrees is nothing new. The demand has been in place since higher education was created. Combine the robustness of e-commerce with the pressures to earn college degrees and you have a powerful motivator driving both fake degree suppliers and their consumers. Diploma mills capitalize on the consumer desire for a more competitive career edge. For most professionals, the competitive leg up translates to more education. Those with an Associates degree want a Bachelor’s, those with a Bachelor’s want a Master’s, and so on. The quicker, the cheaper, and the less work involved the better. What if you could convince a consumer that a degree based on previous life and work experience is as valid as a college degree? What a business model that would be. But who would buy that message? Modern day diploma mills have perfected just such a model. And it works. Experts who spend their lives digging into the deepest recesses of degree mills suggest that as elusive as the flow of money is, that the fake degree business rakes in over $500 million dollars a year. Sounds like plenty of people buy the message. Slick online websites for diploma mills give the illusion that they are as substantial and solid as any brick and mortar college in America. Dig behind the domain name, however, and addresses in places like Liberia, the Virgin Islands, and the Middle East are common and expose the illusions for what they are: virtual houses of cards. There are no campuses and no faculty offices. Many diploma mills are located within the U.S.; in states like Wyoming, Mississippi, and Alabama. Fraud laws and higher education regulations are so flimsy in these areas that unaccredited and low-quality colleges and universities may flourish. Other states have taken notice. Oregon has been most proactive in getting the word out. The Oregon Office of Degree Authorization maintains a list of unaccredited colleges that are known to prey on the ignorance of consumers. The numbers of questionable institutions is as alarming as are the audacious claims on their websites. ODA also lists the states where laws are so shaky that unaccredited colleges have become a threat to legitimate education. Laws on fake degrees—both manufacture and use of—are spotty across the States. In many other countries the practice is illegal, but loosely policed. In the U.S. the federal government largely puts the responsibility on each state. Because the business is a white collar crime, no large scale enforcement has been set in motion. Diploma mill customers attracted by the allure of “life experience” degrees typically seek career advancement and need one or more college degrees. They are mislead by terms such as “accredited” and are persuaded to believe that their past work experiences are as measurable as college course credits. 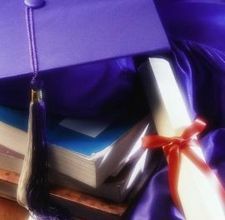 Fake degree buyers are those consumers that typically need a fake document that is foolproof to employers and other officials. The only purpose is to deceive. Fake degree suppliers make no pretense of being colleges or leading consumers to believe their resumes can translate to real degrees. They unabashedly sell, advertise, and fiercely market “fake,” “phony,” “bogus,” and “novelty” degrees. In the last few years some very high-profile professionals in all walks of life have been exposed for listing diploma mill degrees on their resumes. Laura Callahan, a Chief Information Officer with the Department of Homeland Security, was found to have listed three such degrees earned from a now defunct degree mill in Wyoming. In fact, her final Ph.D. degree clinched the CIO position. The only true academic work she’d done for her alleged degree was to write an essay. Remember when a Ph.D. degree was once considered one of the highest and most prestigious academic accomplishments? In monetary terms fake degrees cost from $50 up to thousands of dollars. Aside from the monetary cost, though, the business of diploma mills and fake degrees has undercut the value of higher education. Most hard hit have been legitimate online degree programs. Even the term “accredited” has been defaced. Accreditation mills are the new offspring of diploma mills—fake agencies that purport to lend credence to low-quality online degree suppliers. According to recent surveys, employers are increasingly suspect when considering applicants’ education records. Most still don’t know how to conduct a thorough background check into academics and many avoid those applicants with any type of online degrees, period. How do you avoid being scammed by a diploma mill? A real college degree takes work. But it no longer has to come at the cost of your career and family time. Excellent online degree programs deliver personal satisfaction, a study-at-your-own-pace program, and legitimate Department of Education accredited degrees. Where college tuition costs are the biggest concern, wannabe students must stay committed to the process of financial aid, scholarships and grants. There is free money to be had. Learn how and where to find it. Community and technical colleges offer alternative degree programs that deliver career-centric know-how at a much lower price. Immediate employment, practical experience, or the added option to transfer seamlessly to a four-year degree program, are the leading reasons to pursue this legitimate educational angle. Everyone has options. Right now enough misinformation still exists that consumers remain easily persuaded by degree scams. Get the resources you need to make informed decisions. And go with your gut instincts: if you have a bad feeling about some promise an online college is making, it’s most likely a sham. Remember, degree mills are not going away anytime soon. Their methods will no doubt reach new levels of sophistication. Be vigilant; your career and reputation depend on it.